Boston, MA, March 4, 2019 – National literacy and mentoring non-profit Read to a Child® announced today that on Friday, March 8 at 10AM, Boston Police Commissioner William Gross will read to the first grade at the Tobin K-8 School in Roxbury. This event will mark the beginning of a new initiative to pair Boston police officers and cadets with elementary school children as reading mentors in Read to a Child’s Lunchtime Reading Program. The Tobin K-8 School is one of 16 public schools in greater Boston where Read to a Child operates its Lunchtime Reading Program. Read to a Child enlists and manages a force of nearly 2,000 community and corporate volunteers from 124 organizations who visit urban elementary schools once a week and read aloud one-on-one to at-risk children during lunch. This time spent with a caring adult ignites a love of reading in struggling children, while providing students with the skills and self-confidence to succeed in school and in life. Friday’s event will also highlight the necessity to fund creative mentoring initiatives and coincides with Read to a Child’s annual online fundraising campaign to ‘Help Kids in Need Love to Read.’ In March, Read to a Child’s goal is to raise $115,000 in order to support 7,200 reading sessions for ‘kids in need.’ All proceeds from the campaign will fund Read to a Child’s Lunchtime Reading Program. For more information or to donate to ‘Help Kids in Need Love to Read,’ click here or visit https://tinyurl.com/ helpkidslovetoread. Read to a Child’s corporate partners at the Tobin School that provide both financial support and more than 100 volunteer reading mentors include: ArcLight Capital Partners; Brigham and Women’s Hospital; Charles River Associates; Harvard School of Public Health; Partners HealthCare; Posternak, Blankstein & Lund, LLP; and Wayfair. Individuals, including retirees and community members, bring the number of Lunchtime Reading Program volunteers at the Tobin to more than 125. Read to a Child, www.readtoachild.org, is a national literacy and mentoring non-profit that inspires caring adults to read aloud regularly to under-served children to create better opportunities for the child’s future. Research shows that reading aloud to children is the single most important activity for eventual success in reading, a key factor for success in school, work, and life. When an adult reads aloud to a child, both parties have a joyful, rewarding experience that instills a love of reading, improves literacy skills, and enhances a child’s self-confidence. Read to a Child’s Lunchtime Reading Program utilizes more than 1,800 volunteer mentors from 124 socially-minded organizations who read one-on-one to more than 1,400 at-risk elementary school students in Greater Boston, Detroit, Hartford, Los Angeles, and Miami. 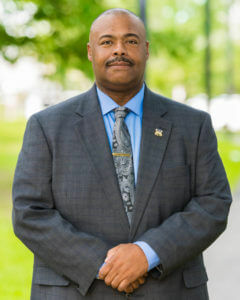 William Gross is a 34-year veteran of the Boston Police Department and its first African American Commissioner. As a Patrol Officer he spent many years in the Gang Unit and Drug Control Unit, as well as Academy Instructor. He rose through the ranks, achieving the ranks of Sergeant and Sergeant Detective. In 2008 he was promoted to Deputy Superintendent, where he served as the Commander of Zone 2 (Roxbury & Mission Hill, Mattapan, Dorchester and South Boston). Throughout his career, Commissioner Gross has maintained a strong connection with the community, and has been awarded numerous awards for bravery, meritorious service and community partnership. To read the Commissioner’s message, please visit http://bpdnews.com/ commissionersmessage.